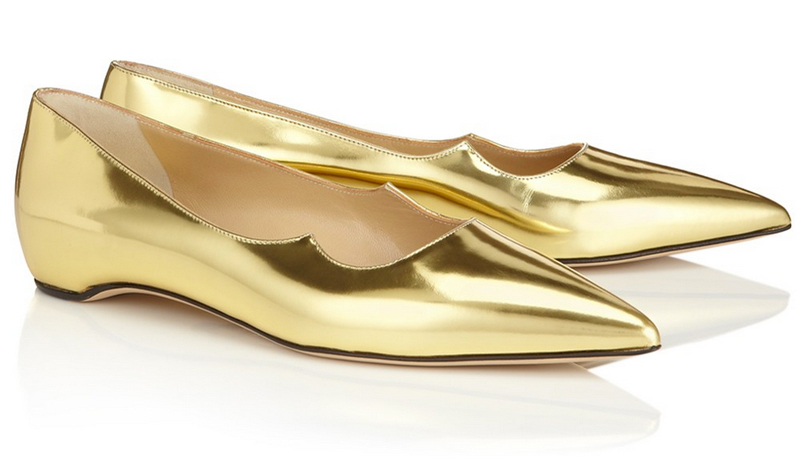 WHY: These flats by Paul Andrew are your sparkling new staple: metallic slip-ons boast a sleek point plus a wingtip detail. A flat, single soled stunner like this is quite conducive to running the world, or at least good for running around the city. Midas touch much?